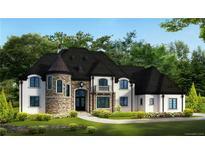 Find Weddington, NC New Homes for sale. View Photos, Maps and MLS Data Now! Convenient upstairs laundry and generous game room finish up the 2nd floor! Screened in porch in back. MLS#3482344. Lennar Sales Corp. The features on this home are amazing!! . MLS#3477505. Lennar Sales Corp.
Beautiful amenity center, jr Olympic pool, outdoor covered cabana with fireplace, event lawn, tot lot and walking trail. MLS#3475584. Shea Realty. Williamsburg - Located in a wonderful area next to Weddington's highest rated A+ school. MLS#3471274. USRealty.com, LLP. Known for their energy efficient features, our homes help you live a healthier & quieter lifestyle while saving thousands of dollars on utility bills. MLS#3469518. Meritage Homes of the Carolina. Located in desirable Weddington schools in Union County, wonderful completed amenity center, jr Olympic pool, outdoor covered cabana with fireplace, event lawn, playground and walking trail. MLS#3445654. Shea Realty. This European 3 Rochester is a must see! Competition date is April 2019 MLS#3462056. Taylor Morrison of Carolinas Inc. Screened in porch in back with wooded view. MLS#3461156. Lennar Sales Corp. Located in desirable Weddington schools in Union County, wonderful completed amenity center, jr Olympic pool, outdoor covered cabana with fireplace, event lawn, playground and walking trail. MLS#3416870. Shea Realty. Known for their energy efficient features, our homes help you live a healthier & quieter lifestyle while saving thousands of dollars on utility bills. MLS#3457002. Meritage Homes of the Carolina. Home is subject to HOA approval. MLS#3455880. Keller Williams Ballantyne Area. Currently 3 lots available; Lot 47 is heavily wooded, next door to wooded property which abuts the neighborhood pond. MLS#3455889. Keller Williams Ballantyne Area. Convenient upstairs laundry and generous game room finish up the 2nd floor! Screened in porch in back. MLS#3449012. Lennar Sales Corp. This home has a 3-car garage. MLS#3448225. Taylor Morrison of Carolinas Inc. Enjoy a great private rear yard and a 3-car garage. MLS#3438573. Taylor Morrison of Carolinas Inc. Known for their energy efficient features, our homes help you live a healthier & quieter lifestyle while saving thousands of dollars on utility bills. MLS#3446485. Meritage Homes of the Carolina. Known for their energy efficient features, our homes help you live a healthier & quieter lifestyle while saving thousands of dollars on utility bills. MLS#3446490. Meritage Homes of the Carolina. Clubhouse includes fitness center and outdoor pool. HOA only $865/year! MLS#3445550. Toll Brothers Real Estate Inc. Known for their energy efficient features, our homes help you live a healthier & quieter lifestyle while saving thousands of dollars on utility bills. MLS#3443937. Meritage Homes of the Carolina.